Driver coaching is an important part of any fleet safety program. As a safety manager, your number one priority is to keep your drivers safe on the road. New to driver coaching? Need to refresh your skills? This driver coaching 101 guide will walk you through the basics and provide the comprehensive information you need to get on the road to improved fleet safety. Simply put, driver coaching is any education you provide to make your drivers safer on the road or improve driver behavior. In conversations with hundreds of our clients, SureCam has discovered that many fleets do a lot more coaching than they think. Sometimes safety managers don’t think they have a formal coaching program at all, but that’s just because these tactics come naturally to most safety professionals. In this article, we’ll highlight driver coaching techniques you might already be doing, new strategies to experiment with, how to use video in your driver coaching, and the importance of documentation. There are many benefits to a formal driver coaching program. Coaching your drivers can help reduce incident frequency, lower insurance claims costs, and help protect your brand. Coaching your drivers will make them safer and help you identify risky behavior to prevent incidents before they happen. For example, Krispy Kreme experienced an 80% drop in incident frequency after installing SureCam cameras in their fleet. On top of that, a coaching program can improve road awareness for your drivers. Driver coaching can help you share information in real-time with your drivers to help them avoid potential weather-related incidents. By eliminating risky driver behavior, you can reduce claims costs. After all, fewer incidents will contribute to fewer claims for your fleet and by making sure your drivers aren’t texting while driving or engaging in other risky behaviors you can reduce the chances that your driver is found to be at fault if an incident does occur. As fleet safety managers know, your vehicles are an extension of your brands on the roads. By reducing incidents and mitigating the risk of a highly publicized lawsuit, coaching your drivers can help protect the brand you work so hard to build. Some fleets also hire professional coaches to train their new employees/will offer to pay for training classes when they offer a job to a new driver. Most employees also appreciate it when their company invests in their career growth. A dedicated coaching program can help your drivers see that you are committed to their professional development. Many common incidents ­– such harsh breaking ­– can be addressed with at least a casual, one-on-one conversation with a driver. driver coaching doesn’t always have to be formal. 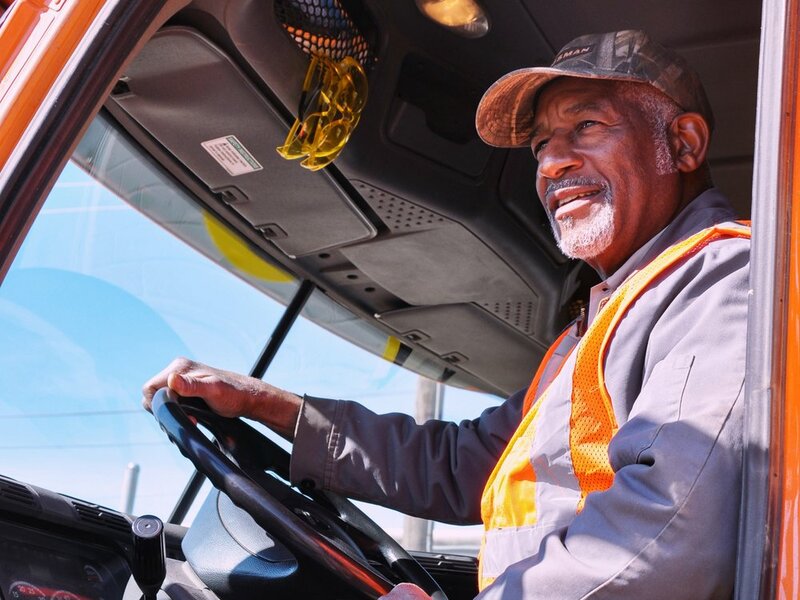 Take advantage of daily opportunities to connect with your drivers and make safety part of your culture. More serious collisions are another great opportunity to coach your drivers with sit down conversations. For example, distracted driving is an important issue that could require some coaching. If you receive a report of texting or cellphone use, most fleets respond with a one-on-one conversation with the driver. In an instance where you have video evidence of the distracted driving, you may refer to your company handbook to determine if the behavior violates your policies. You might have a driver who hasn’t had any violations or incidents but has demonstrated a pattern of risky behavior. How could you recognize a pattern of risky behavior when you don’t ride with every driver every day? You may notice it as you review video or in your telematics platform. Another possible way to identify a pattern of risky behavior is if you receive several phone calls from other drivers reporting unsafe driving by one of your drivers. You might also want to coach on a weekly or monthly basis with safety meetings and one-on-one conversations. One thing to keep in mind is to have a clear policy on who coaches whom and what the schedule is going to be. Finally, you may want to train on a quarterly basis for more extensive coaching to keep things fresh for your drivers. Many fleets use some kind of formal coaching, courses, or seminars for their quarterly safety program. Many of our clients use safety meetings, like toolbox talks or tailgate talks, on a weekly or monthly basis. These meetings can cover any safety topic you think would help your fleet. If you’re looking for ideas for your own safety meetings, read our blog post on safety meeting topics. One technique some fleets utilize is driver ride alongs. Supervisors will schedule time to ride along with their drivers and let the drivers suggest which deliveries would be best to observe. In one instance, Merchant’s Metals had a driver who had reported unsafe conditions at one of their customer’s locations a couple of times, but the supervisor hadn’t taken action yet. The driver asked the supervisor to ride along to that location and when the supervisor saw the conditions at the location, he told the customer that Merchant’s Metals wouldn’t be able to deliver to them anymore unless they fixed the unsafe conditions. That ride along resulted in a decision that made the driver’s life easier and safer. Another tool some of our larger clients use is a Learning Management Systems (LMS). This is an online portal for training materials your drivers can access remotely. If you don’t have the resources to invest in an LMS, you can use YouTube videos and other online training resources for your fleet. One way you can coach your drivers on a daily basis is through dispatch communication regarding weather or other local issues. Many fleets also have professional coaching available for their drivers. No matter what techniques you use, it’s important to document notes and agreements from the coaching session. Documentation can protect your fleet in the case of an incident or if you need to terminate an employee. Make sure you emphasize the importance of documentation to your drivers. Many SureCam clients are able to manage their documentation on their own, but for fleets who want or need assistance, SureCam has a platform that can help you document your driver coaching program. Another tool for driver coaching is video from your fleet dash cameras. SureCam help fleets improve safety through video and we want to share a few of the ways our clients are utilizing video in their driver coaching programs. One of our clients, BMC, has over 5,000 vehicles on the road and one technique they use for their driver coaching is quarterly video review meetings. At their depots, they pull videos of incidents that have recently occurred and then have a safety meeting with their drivers to review the clips. You can also take stills from your videos to highlight seat belt or cellphone compliance while still protecting the privacy of your drivers. Cover the face of the driver or blur it out so no one knows who it is before you share it with others. After an incident happens, you can also use the video clip in your one-on-one conversation with the driver. Many of our clients say this helps diffuse the situation because the driver can’t deny what the video shows. The unique capacity of video to help prove what happened on the road (and exonerate not-at-fault drivers) can significantly boost morale. When video exonerates one of your drivers, share that story with the rest of the fleet. It can be a great morale booster and often helps drivers see the value in cameras. Don’t forget that positive recognition can be a key piece of the coaching puzzle. Sometimes we have a tendency to think of coaching as a response to negative behavior, but coaching can be a great tool to recognize and celebrate the safe behaviors of your drivers. Positive recognition for improved performance will help your employees thrive. Sometimes incidents offer an opportunity to recognize a job well done by a driver who demonstrated great road-awareness and, in extreme cases, when a driver may have avoided a potential fatality. Creating any kind of lasting change can be hard. Continually evaluating your driver coaching program and testing new techniques is one way to help keep momentum going. Ready to get started with a formal coaching program for your fleet? Download our driver coaching ebook to learn more or contact SureCam to see how our team can help.